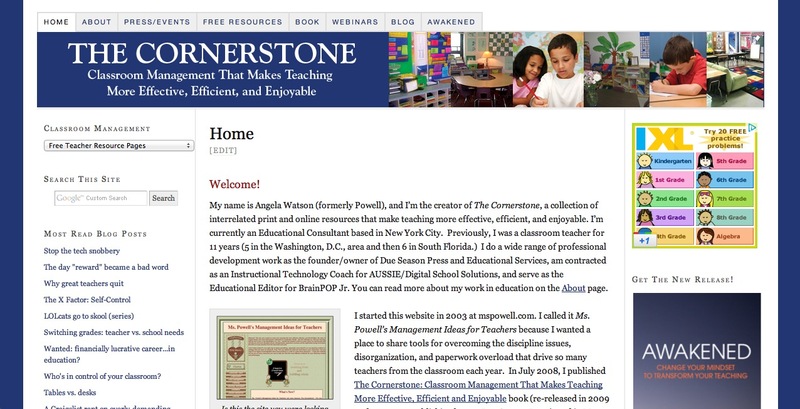 The Cornerstone Devotions for Teachers: Summer of Freedom? Summer, more than any other season, reminds us of freedom: time spent outdoors, vacations, 4th of July picnics and fireworks, and of course, no school! But the summer of 2006 has had a more serious edge to it that has permeated almost everyone’s daily life. Most have us have been sitting back for awhile, hoping for things to return to “normal”. (Surely gas prices will go back down, won’t they? And Bush will announce a definite date for our troops to come back home? They’ll come up with some kind of peace treaty with Hizbollah, right?) But it’s becoming increasingly apparent that this reality IS the new normal. Our lifestyles are changing permanently, and the naïve self-indulgence that started to creep back into fashion as 9/11 faded further into the past is looking more and more incongruent with what the world is becoming. Because the truth is, we aren’t truly free. The world isn’t free right now, and as believers, we know that we are entering into one of the darkest times in history. The parallels between current events in the Middle East and the Book of Revelation are undeniable. There is a battle that has been raging for thousands of years, and it’s coming to a point where we across the Atlantic will no longer be able to stroll around a shopping mall with Starbucks in our hands and deny what’s happening. Even America isn’t free right now. We have 80% of the world’s wealth but 70% of us are in debt, filling the void in our souls with material objects that don’t satisfy us. Only 20% of Americans go to church on Sunday morning, down from 60% just half a century ago. America is no longer seeking God. How can God bless America when America isn’t blessing God? And Christians? Most of us aren’t free, either. We quickly accept Jesus’ power of salvation but reject his power of transformation. Our eternal destinies are settled but our lives here on earth remain uninfluenced as we traipse along in our self-centered existence. There is no victory in the life of the average Christian. The world looks on at us and sees nothing they want. They don’t see a peace that passes all understanding because we don’t allow Christ to give it to us. There’s no joy. Am I trying to ruin what you would like to be your last few carefree days of summer? No. God has laid it on my heart to start a fire in you, to give you a sense of urgency about fighting for joy in your walk with Christ, for purposing to let others see that the outside situations in the world can’t shake you, because your Rock is the same yesterday, today, and forever. The Bible tells us to always have a ready answer for the hope that lies within us. The next time you hear someone discussing what’s happening in Israel, will you be prepared to tell them about what you know as a Christian? Pastors and Christian authors all over the world are scrambling to educate the church about Israel and the end times right now (kind of makes the Da Vinci Code-response craze of the last few months seem insignificant, doesn’t it?). I encourage you to spend just an hour this summer to learn about how end times prophecies are coming to pass. But you can share your hope even if the idea of Middle Eastern politics has you baffled. You can smile and say, “You know, I don’t understand everything that’s happening, but I’m a Christian, and I know that God is going to be victorious in the end.” We can have peace because we know the end of the story, and we know it’s going to be glorious for those who believe in Jesus. And for those who don’t believe? We know it’s going to be a time of unbearable suffering on this earth and thereafter… how dare we sit back in our comfortable lives and allow them to continue on a path of destruction because it’s too uncomfortable, inconvenient, or embarrassing to share the truth. It can be challenging to tell others about Jesus, but it’s going to be more difficult to live with the fact that we allowed others to perish because we didn’t want to offend them with the truth, and we were too wrapped up in our own little world to step out of our comfort zone and challenge them to do the same. Yes, it’s your vacation. But the eternal clock is always ticking, and the amount of time we have to share our faith with others is coming to an end, very quickly. You might have found, like I did this summer, that too many days of shopping and laying on the beach leave you feeling unfulfilled and just a little bit empty. I encourage you to use some of your summer for God’s purposes. Volunteer with your kids in a homeless shelter one morning before you go to the pool. Take some flowers from your yard or cookies you’ve baked to a neighbor and tell them it’s from the Lord. Ask God for the opportunity to talk to someone about Him each day as you go about your daily routines. And when school starts? It will the ultimate test of whether you truly have freedom and peace in Christ or if you’re still a slave to sin- will worry, anxiety, anger, and unwholesome talk take over? Let your coworkers see your Rock this year. If a boring staff meeting or disruptive child or gossipy co-worker cause you to come undone, how will you stand in the face of the extreme trials that are coming to this earth? Be unshakeable. Be bold. Time is truly running out. Don’t let the evening news scare you- let it strengthen your faith as you see the things Jesus promised come to pass. Let it reassure you that ultimately God and His people will be victorious. And most importantly, let it inspire you to share that confidence with others. Finally, all of you, live in harmony with one another; be sympathetic, love as brothers, be compassionate and humble. Do not repay evil with evil or insult with insult, but with blessing, because to this you were called so that you may inherit a blessing. For, "Whoever would love life and see good days must keep his tongue from evil and his lips from deceitful speech. He must turn from evil and do good; he must seek peace and pursue it. For the eyes of the Lord are on the righteous and his ears are attentive to their prayer, but the face of the Lord is against those who do evil.” Who is going to harm you if you are eager to do good? But even if you should suffer for what is right, you are blessed. "Do not fear what they fear; do not be frightened." But in your hearts set apart Christ as Lord. What a wonderful devotional. Praise be to the Lord of Lords for inspiring you to write these words. Keep on -- your influence is beyond understanding. Remember the saying that "the truth will set you (and others) free?" How does "opening one's eyes to the truth" relate to "making the blind see again" or "shining the light" or "illuminating a subject?" Notice the inherent symbolism associated with this supposed New Testament "miracle?" Be a little patient with my long-winded presentations of what I have waited a very long time to be able to say. I promise to amaze and enlighten. "But there were also false prophets among the people, just as there will be false teachers among you. They will secretly introduce destructive heresies, even denying the sovereign Lord who bought them—bringing swift destruction on themselves. Many will follow their shameful ways and will bring the way of truth into disrepute. In their greed these teachers will exploit you with stories they have made up. Their condemnation has long been hanging over them, and their destruction has not been sleeping." 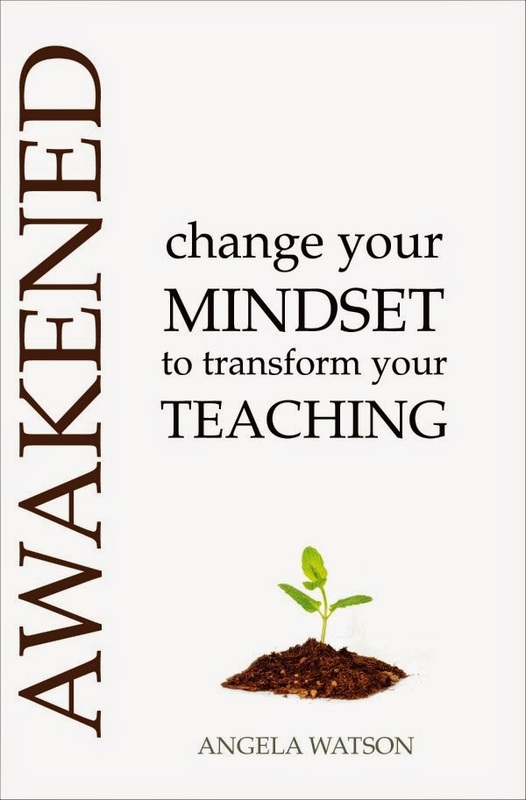 Thank you so much for your website for teachers. 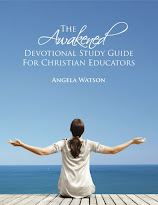 It was wonderful to find Christian resources as I am a Christian teacher in a public school. Your devotionals are inspiring. Your reminder of how forgiving our Savior is and that we need to be forgiving and patient with our students was something I need to remember.